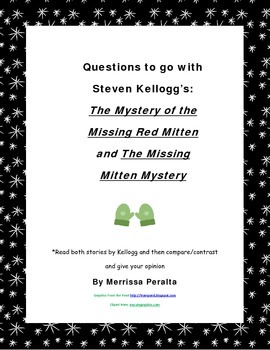 Read both versions of this story by Kellogg (The Mystery of the Missing Mitten and The Missing Mitten Mystery). These questions will help students to look at the similarities/differences between the two versions of the story. 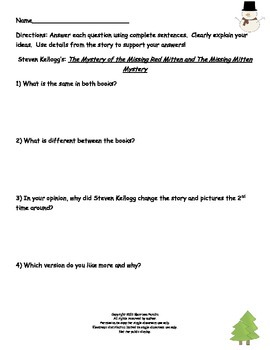 Students will also be asked to give opinions (which version do they prefer and why and why do they think Kellogg made the changes). 4 questions.